A lot of Sokoban variants have been tried out since 1982. Most of them short lived or hardly coming past the creation stage. A handful was alive for a few years and one or two more long lasting. None with any succes just remotely close to the succes of the original Sokoban. Sokomind Plus was invented (by Erim Sever?) 2000. Gerald Hollers Sokoban program Sokomind was the first program that could handle this variant so it was christened the same name as the program. The box numbered 1 must go to the goal numbered 1, etc for the level to be solved. The unnumbered boxes and goals can be paired without restrictions. Along with Sokomind, the format was supported by the program Sokofan by Eric Leung. Neither of the programs are developed anymore and no one develops Sokomind Plus puzzles. 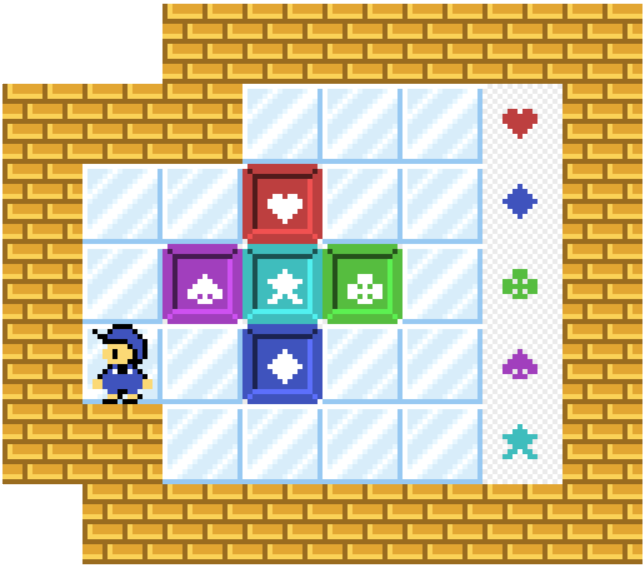 Sokomind Plus puzzles are stored as normal Sokoban puzzles with two extra textlines to define the boxorder. 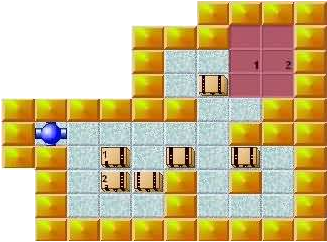 This means you can play the puzzles as a normal Sokoban puzzle without the numbering with any Sokoban program. In this way the puzzles often get ridiculously easy so you normally shouldnt bother to play them. Eg. Erim Sever and Kevin B. Reilly wrote a few Sokomind Plus puzzles. From 2002 and for a few following years the Sokoban community tried this variant based on an idea from David W. Skinner. Several well known Sokoban authors, eg. 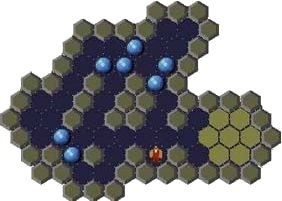 David Holland, David W. Skinner, Erim Sever, François Marques, Gerald Holler, Aymeric Du Peloux, J. Kennth Riviere and Lee Haywood, made hexoban puzzles. There even was a short lived monthly competition at François Marques website. Several programmers, Victor Kindermans, Paul Voyer, Fabricio C. Zuardi and George Petrov made programs and utilities for Hexoban. A few programs provided support for Multiban, most notably Sokofan by Eric Leung. Also providing support for Sokoban, Sokomind Plus, Hexoban, Hexoban Plus, Multiban and Multiban Plus. First presented primo 2012 at SokobanOnline.com. Since then the variant has been growing with a lot of followers playing and creating new puzzles practically every day. Here the blocks have to go to the corresponding goal as in Sokomind Plus. 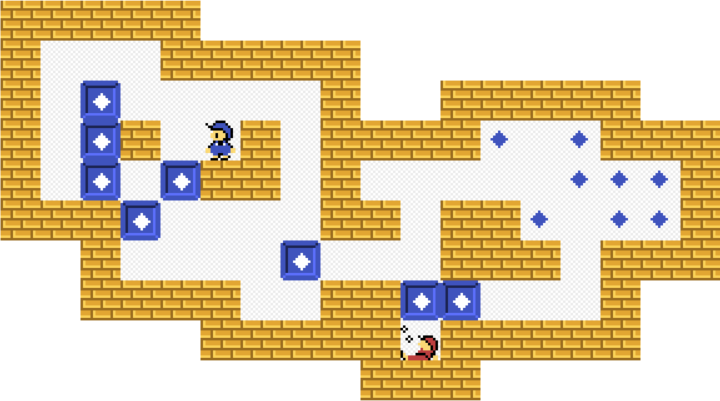 Some of the floors are ice tiles you slither along when the movement has started until you reach an immovable obstacle. 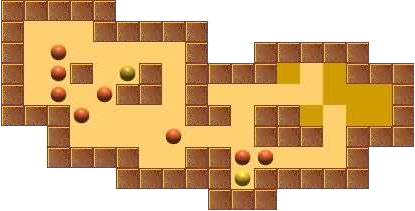 You can also remake Sokomind Plus-levels at SokobanOnline.com as long as you have no more than 4 numbered blocks. I remade a few of Erim Severs puzzles here.